There are dance competitions where all the animals are going and show who is the best of them dancing. 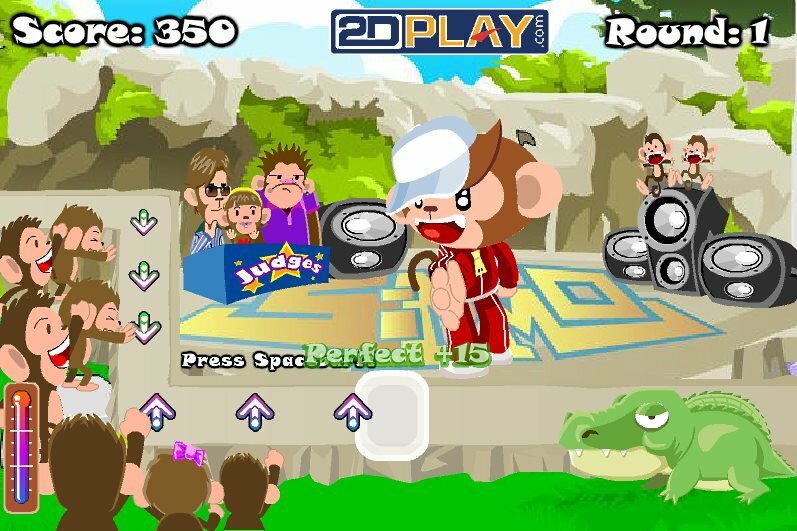 Girls, help the monkey to win the grand prize! You have time to press the arrow keys when the arrow on the screen, hit the box. If you perform complex combinations, you get more points, and if wrong, then you took off his glasses. At the end of the dance you were judged. 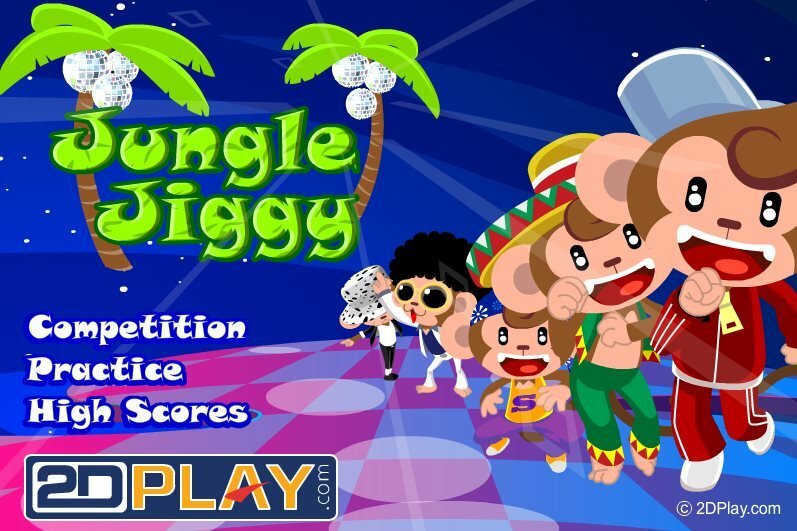 Monkey Jungle Jiggy dancing hip-hop.